Do I Need to Write a Spanish Will? If you live in your country and own property in Spain it is advisable that you have a Spanish will as well as a will dealing with your national assets. Here you will find the reasons why non-Spanish nationals make Spanish wills and the procedures you must follow in order to do so. The best reason to make a Spanish will is that it will make it much easier & cheaper to administer your Spanish estate upon your death. In fact a well drafted will in your own country can have the same results, but if you have the option it is always better to deal with your Spanish assets in a Spanish will. If your national will is straightforward, and you engage a specialist lawyer then any complex issues will be dealt with as a matter of course. However, very often the will is drafted in such a way that its effect can only be determined by an solicitor specialising in will trusts, or where the estate is handled by a Spanish lawyer who has never dealt with a similar cross border matter. This can lead to unnecessary costs and delays. Unlike in other countries, wills made in Spain must almost always be signed before a Notary who will ensure that the document complies with all legal requirements. Once the will has been signed, the Notary sends information relating to the identity of the testator and the place at and date on which he made a will to a centralised registry of wills at the Spanish Ministry of Justice. The will signed by the testator does not leave the Notary’s office, but is bound into a volume of documents signed before that Notary and in due course, when the Notary retires, dies, or leaves the municipality, is passed to another Notary in the same municipality for safekeeping. The helpful result is that upon the death of the testator a certified copy of the will can be obtained from the relevant Notary’s office, a document that can then be used by the beneficiaries to administer the estate. If you were to die without leaving a will, or if your will under your national law was the last will to deal with your estate in Spain, the Spanish authorities need to be satisfied as to who has the right to administer the estate. In certain instances an application may need to be made to the Spanish court in order to proceed, but usually matters can be handled before a Spanish Notary. One is then reliant upon the expertise and prior experience of the judge or the Notary in relation to such cross border matters. It can be particularly difficult to explain the effect of certain trusts, for instance. When presented with an English will in relation to Spanish assets, a common error made by lawyers lacking the necessary experience is to treat the executor in the same way as he/she would be treated in other countries (i.e England or Ireland), so that the entire Spanish estate vests in the executors. In certain circumstances this can mean that inheritance tax is payable at a much higher rate. It can be more effective for the final beneficiaries of the Spanish assets to inherit directly, with the agreement of the executors. This is permitted by the rules, and avoids reference to the executors from a financial perspective, thus minimising the inheritance tax liability. An error relating to inheritance tax may be difficult or impossible to correct, but in order to avoid such errors altogether the best advice is to make a Spanish will that dovetails with any other will that the testator may make in relation to the rest of the estate. Whatever the content of other wills, it is most sensible to ensure that the Spanish will is limited expressly to assets situated in Spain. Further, it is possible to appoint someone as administrator of the will (in Spanish, “albacea”) who can administer the Spanish estate. Unlike executors, the estate does not vest in an administrator of a Spanish will, although the administrator usually is a legal or other professional, expressly authorised in the will to charge for his work. Probably the most frequently asked question relating to Spanish succession is whether forced heirship rules will apply. The simple answer is that Spanish law provides for your national law to apply, meaning the law of the country of which you were a national as at the date of death. So, as an example, a British national from England will have testamentary freedom according to English law. The most effective way to ensure that English law applies to an estate is for you to make a Spanish will in relation to your Spanish assets, specifying that you wish English law to apply to your estate in Spain. Spanish nationals do not use lawyers to write their wills. They simply attend at the Notary’s office and set out what they want to happen to their assets when they die. But this is not a sensible route for the non-Spanish national, whether resident in Spain or otherwise. While the Notary will consider his knowledge of Spanish private international law to be sufficient for the purpose, he may not have a correct understanding of all the issues relevant to your individual circumstances. You can have your Spanish will drafted by an independent adviser in the UK and then signed before a Notary during your next visit to Spain. 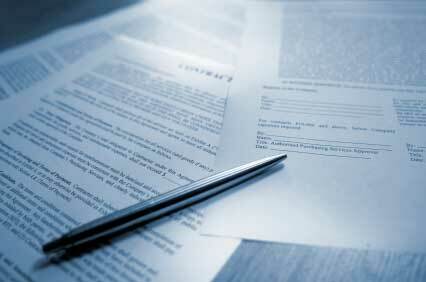 Writing a Spanish will is the best way to ensure that your Spanish assets are dealt with according to your wishes. However, you need to consider the best approach for your specific circumstances. The best way to do this, with no doubt, is to seek specialist advice from an expert.